American fitness giant Core Health & Fitness has signed a strategic partnership with Danish tech firm Motosumo, with the aim of "revolutionising" Core's indoor cycling brand Schwinn. The partnership will combine Schwinn bikes with Motosumo-created apps and tech, which utilise smartphones to convert standard indoor bikes into interactive ones. 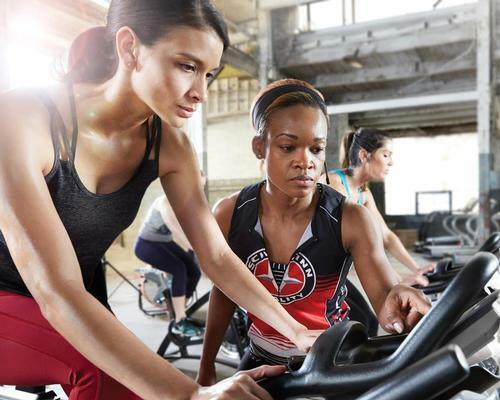 Following the partnership, the new Schwinn1 powered by Motosumo will allow a number of connected fitness solutions – including class leaderboards, group class management, exercise-related social gaming and the recording of workout history. Motosumo's tech uses motion sensor technology in smartphones to work with its own tech and app. Users place their phone in a fixture on the bike and, as soon as the health club has signed up, the app itself figures out what team they are on. The motion sensors in the app automatically register data about the training session based on the measured vibrations in the handlebars, which makes it possible to add an advanced digital analytical layer on top of a standard bike with no built-in technology. The app will also connect to Schwinn’s Bluetooth-enabled ACPower and SCPower bikes and the additional data from the bikes will provide users with a comprehensive evaluation of training sessions – while providing a gamification element which delivers "entirely new possibilities for Schwinn users and instructors". “By launching Schwinn1 powered by Motosumo, we add a technology layer on top of the existing training experience, which contains endless possibilities for the users, instructors, and the clubs," said Kresten Juel Jensen, CEO of Motosumo. Users can connect with other riders and instructors, and riders can compete with teams in other health clubs around the world. The app also gives instructors a vast array of possibilities to create a unique class environment and share real-time data and instructions with their class members. “Motosumo has developed a technology and an app that is unique on a global level," said Dustin Grosz, president & COO of Core Health & Fitness. "It's easy to use, requires nothing from the clubs to integrate and it brings all Schwinn bikes up to a totally new level of innovation. "At the same time, Motosumo adds an entirely new layer of technology and gamification to our most advanced bikes. "In this way, Schwinn and Motosumo are disrupting the industry, and we go from being purely hardware-driven to now also offering many more possibilities and user-experiences with this software solution." The contract covers Motosumo software licenses for the 1,000 new clubs per year purchasing Schwinn bikes, and, in addition, another 10,000 health clubs around the world with Schwinn bikes already in place will also gain access to the software for three months at zero cost, with subscription options afterwards. Motosumo is backed by Danish venture capital fund Promentum Equity Partners and PreSeed Ventures, one of Denmark's largest innovation incubators. The company was founded in 2013 based on advanced analyses of body-mounted sensors capable of registering large amounts of data from runners or sports cyclists.